Pacific Union is honored and pleased to share the news that 25 of our real estate professionals have been ranked among the top 250 in the U.S. We’d like to congratulate them on their outstanding achievements and thank our entire team of Northern California real estate professionals, who recently propelled our company into the top 10 in the country based on 2014 sales volume! With the coming of spring, potential Bay Area homebuyers will begin pounding the pavement, and homes that make a good first impression are the most likely to make the biggest impressions on eager buyers in what could be a crowd of open houses. That’s where home staging can help. A recent survey by National Association of Realtors’ 2015 Profile of Home Staging showed that 81 percent of homebuyers found professionally decorated properties easier to visualize as a future home. Staged homes typically sell within 30 days, according to research by The International Association of Home Staging Professionals and HomeStaging.com. Additionally, staging usually leads to a higher final sales price. Stagers conduct a home assessment, examining items to be removed and refurbished, neutralizing decor to appeal to a majority of buyers, and maximizing both indoor and outdoor space to generate positive impressions of the home’s features. Replacing carpeting and flooring, painting, cleaning, landscaping, changing furniture, and even simple fixture replacements can help a property connect with buyers. But mixing conflicting styles and accessories can put off homebuyers, according to Kelly Wood, a buyer’s specialist and a former stager. “The extremes don’t really work,” she says. Additionally, staging and repairs offers the appearance of home upkeep, both in the real world and online, says Danielle Cirelli, owner of Walnut Creek-based staging company Designed to Sell. “Photos are an essential part of marketing because over 90 percent of the buyers will preview a property online,” she says. Sellers who decide that staging is the way to go will likely want to employ the services of a pro. Many expert real estate professionals offer their clients a list of recommended contacts – including architects, general contractors, and interior designers – who can help enhance a home’s appeal. 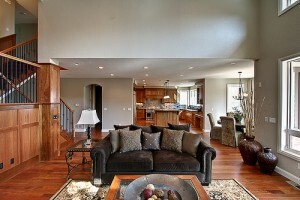 Some real estate professionals provide staging services as a part of their service package. Sellers can also find a staging company through online resources such as Yelp and Angie’s List or referrals from friends and family. Though some sellers might fret over staging expenses, it actually costs less — an average of $675, according to NAR’s study — than the first price reduction – typically at least 10 percent of asking price. And a lingering home on the market sans staging can incur additional price cuts, according to Nelson. “Every month a home is on the market, there is a price reduction of usually 5 percent,” she says. both lists is an amazing achievement for all of us to embrace and celebrate. Five years ago we were not in the top 25. As the U.S. housing stock increasingly shows its age, home-remodeling activity is nearing heights not seen since the previous housing boom. And homeowners who can handle the renovations themselves can realize significant costs savings. Citing data from the Harvard Leading Indicator of Remodeling Activity, John Burns Real Estate Consulting’s Feb. 9 U.S. Housing Analysis and Forecast says that Americans spent nearly $150 billion on home remodeling and repairs in the fourth quarter of 2014, nearing peak levels recorded in 2007. And given that the average U.S. home is about 40 years old, spending on renovations is likely to increase in the coming years, says the National Association of Realtors. In a recent blog post, NAR said 40 percent of homes in the country were built prior to 1970. Such homes accounted for 42 percent of improvement loans in 2013, says JBREC, with Americans taking out almost $15 billion in home loans to renovate properties built in 1969 and earlier. Both homeowners who need to spruce up their properties in advance of a sale and homebuyers who are considering a fixer-upper can save a significant amount of cash by performing the labor themselves. For example, while the median cost for a professional kitchen remodel comes in at close to $36,000, those with the do-it-yourself approach could expect the same job to cost $15,000. DIY bathroom remodels cost about $5,000 less than professional jobs, and handy homeowners can save nearly $7,000 by overhauling a bedroom on their own. NAR says that even though a home-improvement project can seem like an expensive and overwhelming task, first-time buyers may be better off purchasing an existing property that needs work rather than a newly built home. “Many factors come into play in choosing a home, but first-time homebuyers may need to better appreciate the financial benefit of purchasing an existing home as a starting point for homeownership, instead of ‘saving up for a new home,’ ” the organization said in a statement. According to NAR, the median sales price for a new U.S. home was $298,100 in December, and in 2014 new homes sold for 37 percent more than existing homes. Historically, new homes have cost about 10 percent more than existing ones, but rising construction costs and limited inventory and land have helped to widen the divide. Since every remodeling job is different, costs will of course vary by project, although a look at JBREC data offers some perspective. The company pegged the average home-improvement loan at $84,000 in 2013, compared with a 2005 peak of $94,000. In May of last year, Pacific Union launched both Mandarin and English websites hosted on Chinese servers to better allow clients in the country to access property listings and information. We also offer a Mandarin-language version of our exclusive San Francisco Bay Area Real Estate Outlook 2017, which we unveiled in a live presentation last November. You don’t just get one of the Bay Area’s most coveted — and expensive — ZIP codes when you buy a home in the tiny waterfront Marin County city ofBelvedere; you also get dazzling views, top-tier schools, privacy, and a distinctly small-town flavor. Incorporated in 1896, Belvedere’s early population consisted of both full-time residents and wealthy vacation homeowners. Belvedere is now home to just more than 2,000 people according to the most recent census data, making it the least-populous incorporated city in Marin County. Located in the southwestern corner of the Tiburon Peninsula, the city lies 1.5 miles northeast of Sausalito across Richardson Bay and is separated from neighboring Tiburon by a lagoon. Residents who live in homes surrounding the landlocked lagoon enjoy a relaxed lifestyle, with swimming and kayaking being two popular pastimes. Belvedere is also home to The San Francisco Yacht Club, a members-only facility founded in 1869. The club operates youth sailing instructional programs and holds a variety of races throughout the year. Whether you’re out on the water or standing on dry land, Belvedere offers incredible vistas of the bay, Angel Island, the Golden Gate Bridge, and the San Francisco skyline. According to one of Pacific Union’s top Marin County real estate professionals, views are often high on the wish lists of Belvedere homebuyers and help to drive prices of top-end properties. Belvedere’s top-rated schools, operated by the Reed Union School District, present another big draw for families shopping for a home in Marin County. In 2013, Reed Elementary scored a 964 on a scale of 1,000 on California’s Academic Performance Index (API). Del Mar Middle School notched an API score of 960, while Bel Aire Elementary scored a 940. The city itself is almost completely residential but is a short drive from downtown Tiburon, where numerous restaurants, shops, and businesses await. Locals who work in San Francisco can also hop the ferry in Tiburon for a relaxing 25-minute ride into the city, undoubtedly one of the most spectacularly scenic commutes in the country. Although Belvedere is one of the most densely populated communities in Marin County, you might not believe it when driving through the city’s narrow, wooded, winding streets, which help give homes a feeling of privacy and seclusion. Single-family homes in the city range from more modest houses built in the middle of the 20th century to expansive, modern waterfront estates. Thanks to all of its charms, Belvedere has some of the priciest homes in Marin County, the Bay Area, and the United States. Recently, Forbes ranked Belvedere’s 94920 ZIP code as the country’s 36th most expensive in 2014. According to MLS data, the median sales price for a single-family home in Belvedere was $3.77 million in October, up nearly 65 percent from a year ago. Buyers paid an average of $1,167 per square foot in October, a year-over-year increase of 27 percent. The San Francisco Business Times ranked Pacific Union as the 55th fastest-growing Bay Area-based private company, with a two-year revenue increase of nearly 141 percent. Last year, we ranked 96th on the publication’s list of fastest-growing companies. Pacific Union was one of just two residential real estate brokerages named to the list and the highest ranked. Our firm has moved up the ranks of several other notable media and industry lists this year. In August, we worked our way up almost 800 spots on the 2014 Inc. 5000 list, which ranks the fastest-growing companies in the U.S. Earlier in the spring, Pacific Union improved its standings on both the REAL Trends 500 report and RISMedia’s PowerBroker report. In April, we were also humbled to be recognized as Christie’s International Real Estate’s “Affiliate of the Year” at the company’s annual global conference in Barcelona, Spain. News station KRON4 highlights some of the best restaurants in Tiburon! Perched above Paradise Cove sits an idyllic English-style home seemingly plucked from the pages of a child’s bedtime story. Crafted from stone quarried in San Rafael, elegant timber and cobblestones once lining the streets of San Francisco, the residence is an homage to traditional English architecture. Inviting outdoor areas, dramatic views and access to hiking trails highlight the exterior of the 1-acre plot. Eyebrow windows – so called because of how their semi-circular shape mimics their anatomical namesake – and Gothic elements adorn the exterior of 3344 Paradise Drive in Tiburon. Even in the Bay Area, a region rich in history of superlative architecture, the fantastical styling of the home stands out. “You look at it and you would think Rapunsel was about to walk out onto the balcony,” said Shana Rohde-Lynch of Pacific Union Christie’s International Realty, who is listing the home for $3.625 million. Featuring wood shingles, a turret-style dining room, stained glass inserts and architecturally shaped doors, 3344 Paradise Drive provides a picture-perfect definition of storybook style. Coffered ceilings with exposed oak beams and artful stonework lend a rustic element to the living room. French doors at the back of the room open to a deck with panoramic views of the water. Both the kitchen and dining room feature stone floors with oak inlays, and the turret-style dining room offers dramatic vistas of the bay and beyond. A Dutch door in the kitchen welcomes in breezes off the cove, while the curved leaded windows in the dining room do the same. A raised, wood-burning brick fireplace warms the kitchen, and a wine refrigerator built into the center island lends utilitarian flair to the room. Just outside rests a brick and stone patio with built-in barbecue. The outdoor space looks out at the San Rafael Bridge, Mt. Tamalpais and the city lights of the East Bay and opens to the street through an arched pedestrian gate in the stone wall. A fortuitous conversation during a game of tennis in the 1970s led to the home’s development, Rohde-Lynch said. The talk centered around a physician in Marin who was encouraged by a friend to invest in real estate. Soon after, an ad for a lot in Tiburon caught his eye as he flipped through the paper one morning, she said. In time he found a contractor with extensive experience in woodworking. Wanting to ensure the project’s success, he flew the contractor to the English countryside so he could observe the architecture firsthand, Rohde-Lynch said. It would be six years before the finishing touches were applied to the Tiburon home. More than half of that time the owner could be found in the 20-foot trailer he rented in order to be close to the day-to-day activities. Perhaps unsurprisingly, laying the foundation was one of the most time-consuming and laborious processes. Crews plunged 18 piers some 20 to 30 feet into the earth to embed it into the bedrock. Once the technicals were complete, crews could turn their attention to the creation of the storybook masterpiece. Attention to detail defines the home, and perhaps some old glass bottles tucked into the facade are the best evidence of that. Older homes in England were constructed with stone and a hodgepodge of available materials. When a construction milestone was reached, the original owner would open a bottle of wine or Champagne to celebrate. Once empty, the bottle would be incorporated into the construction, she said. West of Point Chauncey, the one-acre estate is a visual spectacle. Paradise Beach County Park sits only a few minutes away, and residents can enjoy watching the daily activity of seals, sailors and wildlife in the cove from the comfort of their own home. While the master suite offers a bathroom with stall shower, dual pedestal sinks and a jetted tub, the bedroom on the main level hosts a west-facing private deck with a hot tub framing sunset views. One of the home’s three fireplaces, as well as vaulted oak ceilings, built-in furniture and a walk-in closet complete the master suite. The curb appeal of the home is self-evident. A steeply pitched roof, wood-framed leaded windows and whimsical lines adorn the facade. “You truly feel you are walking into a storybook,” Rohde-Lynch said. For more information, visit www.StoryBookEstate .com. Features: This two-bedroom, two-bathroom custom-built storybook estate with carriage house is fashioned after traditional homes in England and features stone floors with oak inlays, a turret-style dining room overlooking the water and an expansive deck providing views of Mt. Tamalpais and the East Bay.